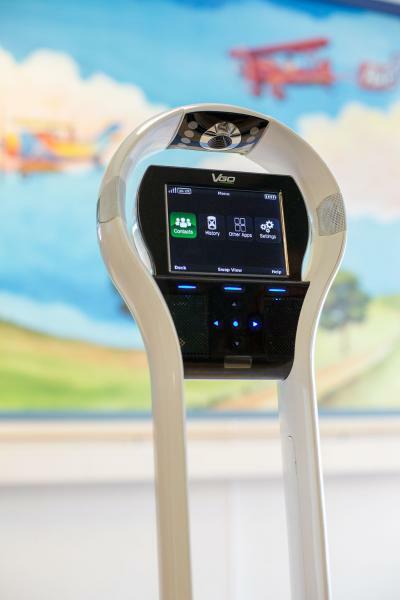 Doctors at Rady Children’s Hospital today introduced the deployment of a fleet of VGo telemedicine robots, allowing physicians to evaluate patients quickly and from anywhere. Using a laptop or iPad, doctors are now able to interact and perform their jobs in ways not previously possible. They can see, hear, be heard and move around in any remote facility, including being able to visually examine patients without being physically present. With satellite locations ranging from 20 minutes to more than an hour away, the telemedicine robots allow Rady Children’s experts to consult on cases in a more timely and efficient manner. Rady Children’s currently has funding to purchase 16 of these advanced robots. 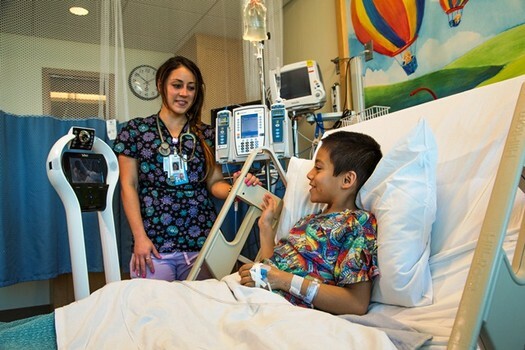 Some of the robots are already in use at Rady Children’s neonatal intensive care unit (NICU) satellite locations. Various community partners have provided funding for the robots including Cricket Wireless, which donated $186,000 to purchase up to 12 robots. In addition, Cox Cares Foundation and Rest Haven Children’s Health Fund each purchased one robot, and Rady Children’s Auxiliary purchased two: one by the Southeast Cluster Unit and one by the North County Unit. The Rest Haven robot is in use at the Pioneer Memorial Hospital NICU in Brawley; the North County Unit robot is in use at the NICU at Palomar Medical Center in Escondido. The robots, which have been nicknamed “Rady D-2” by employees, were developed and manufactured by VGo Communications, Inc.